Wish I Was Scrappin!! : White Christmas? 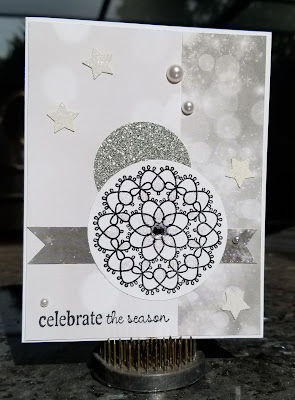 This week's prompt at Jingle Belles Rock is to create an all white card. Or in my case *almost* all white! Some recycled card elements, some scraps of white/grey put together, stickles and pearls and voila'! Grey/white polka dot on left is the back of a photo card, grey dot on the right is scrap. Stars punched from a recycled card, Star Dust Stickles all over the stamped image and pearls purchased at WalMart! Love that Bokeh paper with those pearls and stars ... so glad you helped us celebrate a WHITE Christmas at Jingle Belles. what a pretty holiday card. 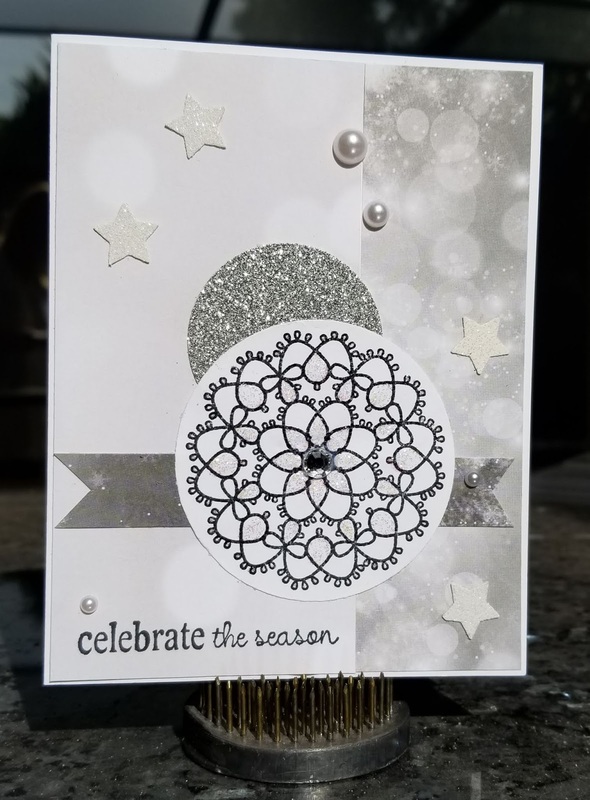 i love the elegant way you've combined papers, stamps and embellishments... the touches of grey & silver are wonderful as well! thanks for helping us celebrate a white christmas at JINGLE BELLES!